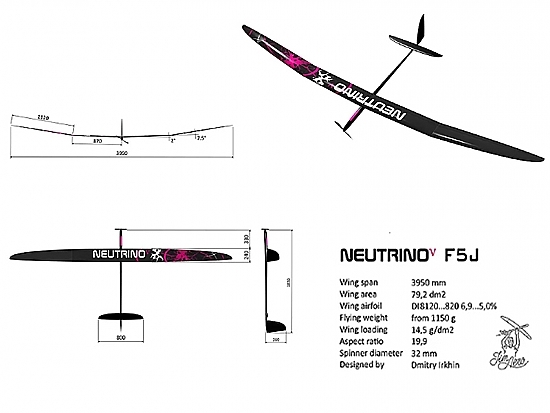 Neutrino F5J is an ultra-lightweight model specially optimized for F5J competition. 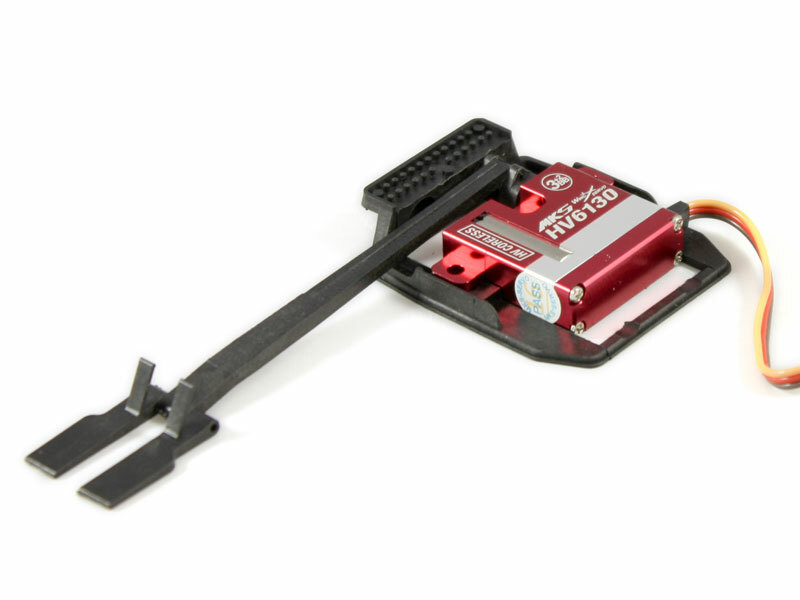 It features compact portability to and from the flying field as no part is longer than 44 inches. 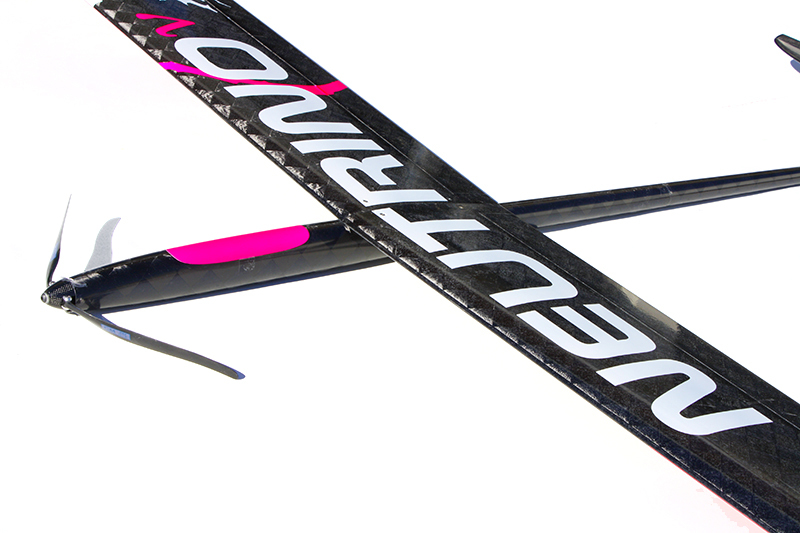 Features a very thin airfoil. Soaring USA is produd to offer the JimAero Neutrino F5J, the newest ultra light competition F5J glider with a 3.95-meter wingspan. The wing of the Neutrino F5J consists of four parts. 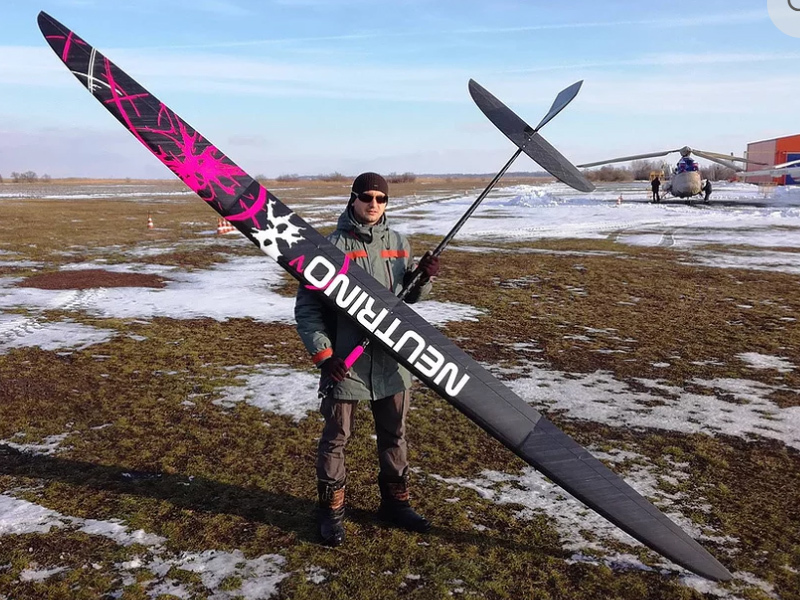 The fuselage consists of two parts which greatly simplifies its transportation. 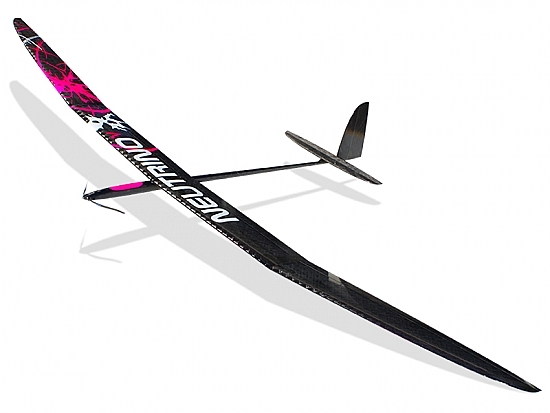 The longest part of the model are the wing tips which each measure 44 inches (1120 mm). 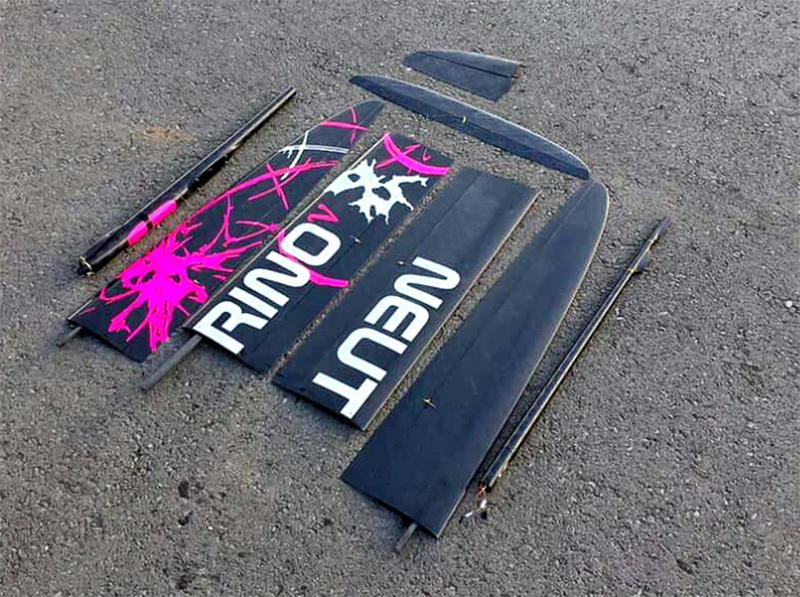 The Neutrino’s wing has series of transitioning airfoils DI8120...820, specially designed for ultra light F5J gliders. 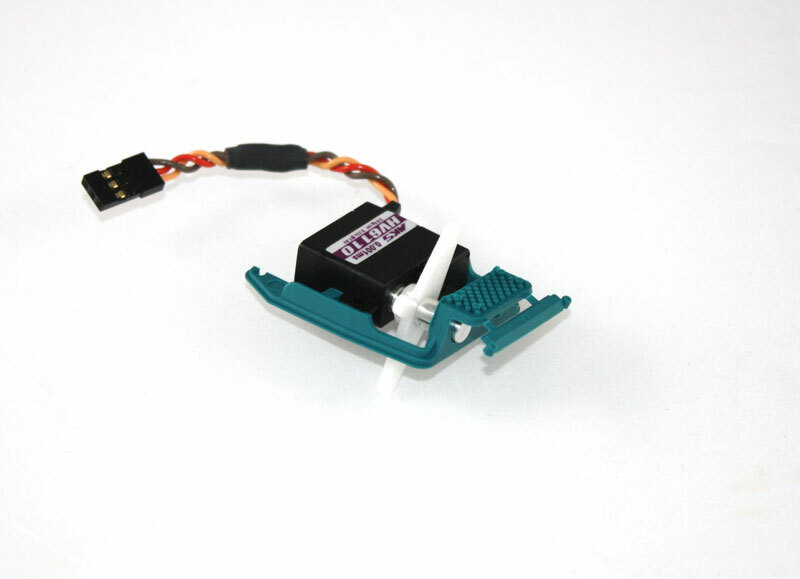 It has a thickness changing from 6.9% on the root to 5.0% at the tip. This is much thinner than airfoils for F3J which are are sometimes used for F5J. 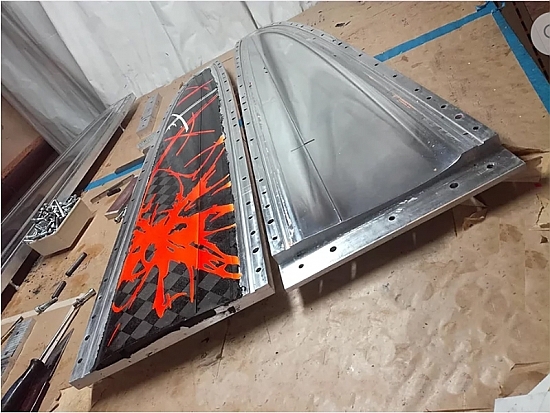 This airfoil combo has great performance throughout a wide speed range due to this special geometry, plus the excellent reaction to changes in flap deflection, depending on the flight mode. 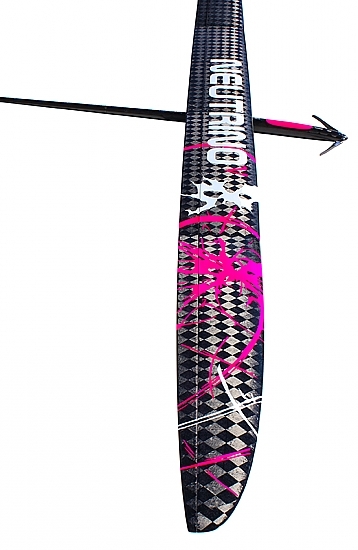 The wing and tails are made with solid core technology from PMI foam (Rohacell core). Neutrino is available in two versions. 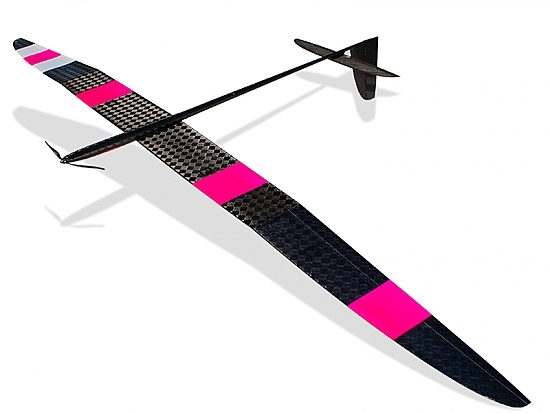 Standard version has about 1350 g flying weight. Its wing made from checkered carbon fabric 62 g/m. 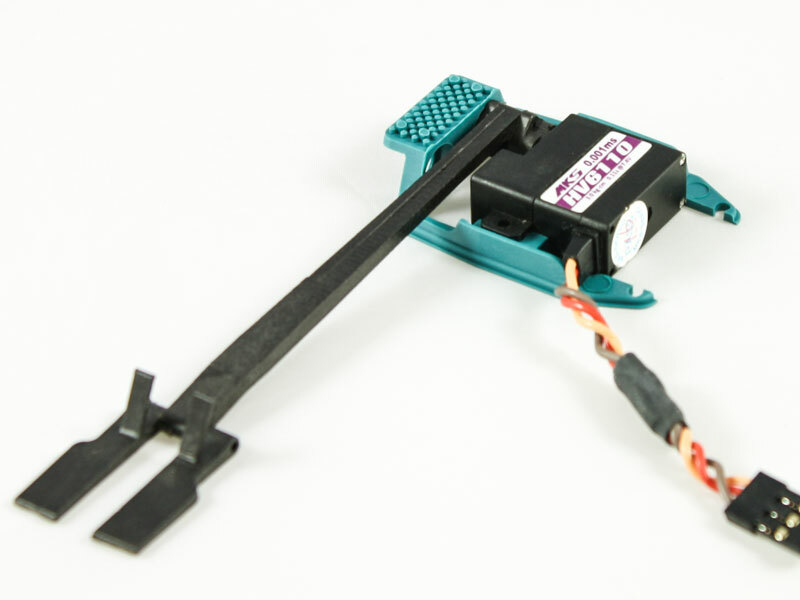 Standard version can be used with ballast. 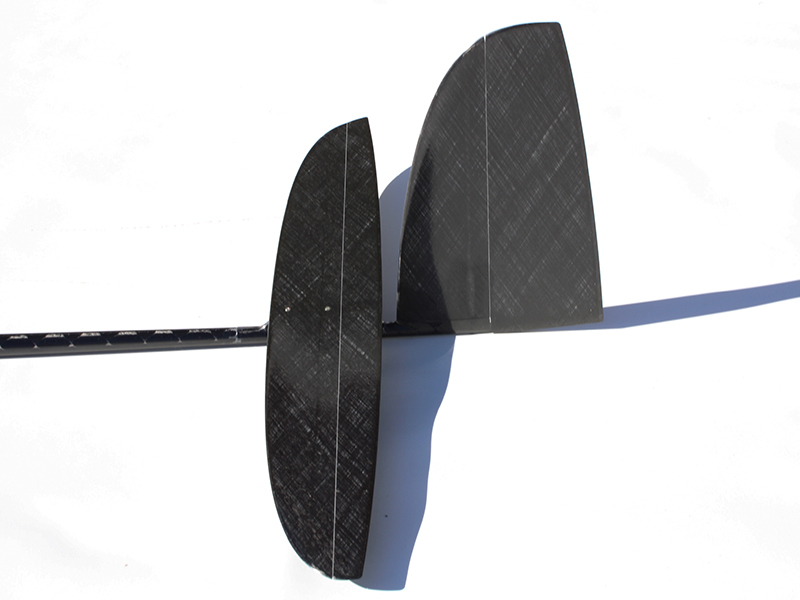 Light version has flying weight from 1150 g. In this version wing made from spread carbon 28 g/m2 and has less rigid spar. 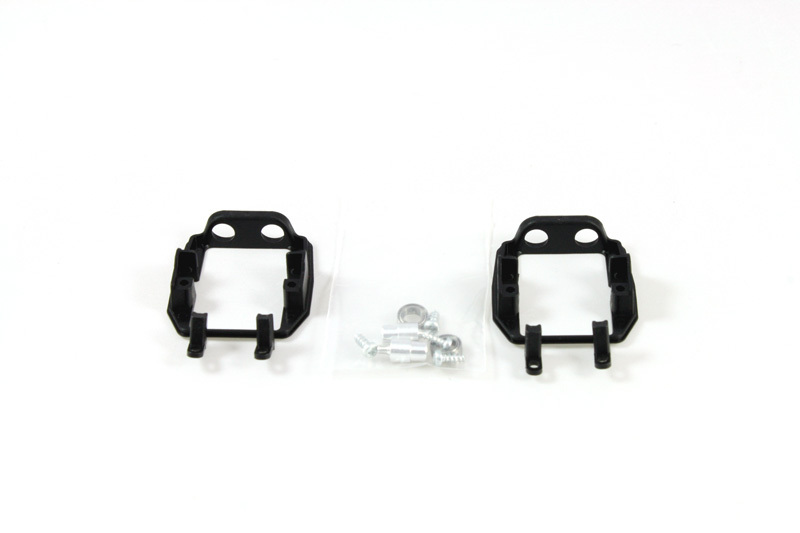 Light version is not recommended for using with ballast. 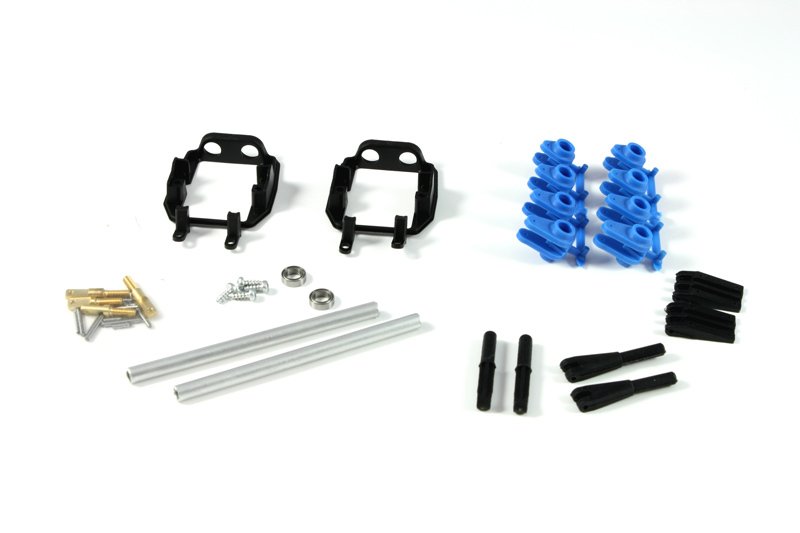 Recommended prop: GM 15x8 Prop.